Brewed with Australian and American hop varieties. This brew packs a punch with its juicy citrus flavor and tropical fruit aroma. A sessionable American IPA brewed with 5 American and Australian hop varieties. Clean, crisp, and refreshing American golden ale. 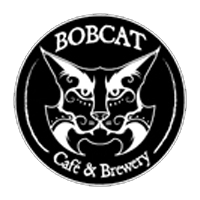 An oatmeal stout brewed with local maple syrup and cold brew coffee. Sour German style wheat beer brewed with Vermont ingredients including local raspberries! Session 1 and 2 only. Brewed in the Kolsch style using select German hops, malt and yeast. Session 1 and 2 only. Pale ale brewed with an abundance of fresh orange and lemon zest. Session 3 and 4 only. 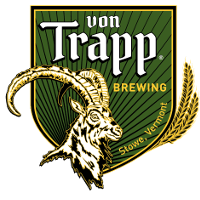 Sour German style wheat beer brewed with 100% Vermont ingredients! Session 3 and 4 only. New England IPA brewed with Mosaic, Citra, and Ekuanot. 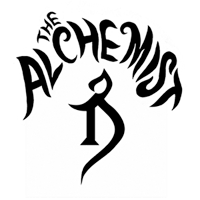 Winner of the 2018 Make the Cut Homebrew Challenge! Collaboration with Bryan Landerman and Greg Goyette. Our Belgian saison, brewed with Vermont grains and conditioned in blackberries. Our ever popular smoked porter, light bodied makes for very easy drinking. IPA using the awesome combination of Mosaic and Citra Hops. Our newest Pale ale, flavors of slight grapefruit, papaya, melon, and strawberry. A low IBU Vermont Style IPA using Columbus, Simcoe, Amarillo, and Citra hops. This Brett Triple has aged 6 months into oak barrels. The taste of this version is more fruity than the Bruxellensis one. This multiple award-winning Triple has been aged during 6 months into oak barrels. The powerfull Brett taste well combines with oak notes. This multiple award-winning Kriek aged over 16 months into cabernet sauvignon oak barrels offers piercing acidity and tartness from cherries. This Lambic inspired style is a blend of 6 to 30 months oak barrel aged beer. It reveals complex & acetic notes. This Double IPA offers wonderful hops aromas from a combination of Amarillo, Citra & Zythos. Within this refreshing Pale Ale, soured wort combined with Mosaic & Citra hops reveal an impressive tropical flavour. With it’s low ABV, this Session IPA is offering an explosion of Azacca, Citra, Golden hops and Sincoe hops. Brett Porter blend from 10 to 14 months oak aged barrels. It offers complex flavours due to malts, Brett and oak. A hazy Belgian-style wheat beer with balanced citrus and spice. Brewed with wheat, coriander, and Curaçao orange peel. Ale aged in oak bourbon barrels. Balanced flavors of coconut, vanilla, and a hint of bourbon. A blend of spontaneously fermented beer aged on raspberries. Raspberries feature heavily in the flavor, along with light funk and hints of dried apricot. Notes of pineapple and citrus-forward Mosaic hops characterize this bright, 100% Brettanomyces-fermented ale. New England Style DIPA brewed with blood oranges and zest. A Sour Ale inoculated using Gizmos Pickled Plus Bread and Butter Pickles – aged on blackberries, cherries, red currants. 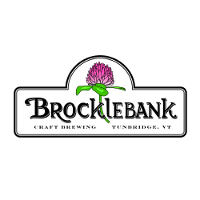 Collaboration with Brocklebank Craft Brewing. Imperial Dark IPA brewed with Chaga mushrooms and juniper berries. 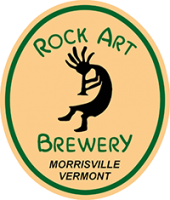 Our seasonal Red Ale brewed entirely with Lincoln, Vermont maple sap instead of water. Crisp, bright, straw colored cold conditioned Ale. Hop forward, light drinking Ale brewed with local Peterson pilsner malt. Collaboration with Hired Hand. Golden, hazy, juicy Vermont style Double IPA brewed with all local Peterson malt and Homestead hops. Collaboration with Hired Hand. Blended barrel-aged IPA and Bière de Table with Brett. Foeder Rye Grisette aged on local organic sea buckthorns. Blended barrel-aged saison and Berliner Weisse with guava. 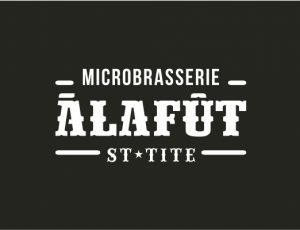 Wild Ale, blended beers from both Dunham and A La Fut. An IPA and a half with all English malt and all American hops. A Sour Ale inoculated using Gizmos Pickled Plus Bread and Butter Pickles – aged on blackberries, cherries, red currants. 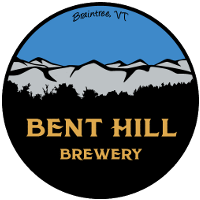 Collaboration with Bent Hill Brewing. A Pilsner made with American hops. Strawberry Milkshake IPA with vanilla & milk sugar. Pineapple Cherry Milkshake IPA with vanilla & milk sugar. Tangerine Mandarin Milkshake IPA with vanilla and milk sugar. New-World Saison. Session 4 only. India Pale Lager brewed with Vic Secret hops. Sour wheat beer brewed with raspberries. Session 1 only. Bourbon barrel-aged Imperial Coffee Stout. Buckthorn berry Saison. Session 3 only. New Wave IPA. Session 2 only. A light filtered wheat beer with key lime puree, marshmallow, and graham cracker. A dark and smooth Baltic-style porter. Our flagship West Coast style IPA. Local favorite Scottish 90 Shilling Ale on cask. Our beloved Sunshine & Hoppiness soured by Backacre Beermakers. Collaboration with Backacre Beermakers. A double IPA with luxuriant aromatics and succulent flavors. Lushsicle includes a small dose of lactose that provides a soft creamy mouthfeel accentuating its juicy character. This IPA incorporates Golden Promise, Citra, and Mosaic. Stay gold, Ponyboy. This IIPA recieved large quantities of Mandarina Bavaria, Citra, Lemondrop, and Wakatu hops. It takes more than three hits to earn this star. American Farmhouse IPA brewed with oats & rye double dry-hopped with Mosaic & Hallertau Blanc. Collaboration with Farmhouse Tap and Grill. American Shandy brewed with maple lemonade from Noah’s Fizzy Lemonade in Waitsfield, Vermont. Imperial Oatmeal Milk Porter with toasted coconut, coffee & chocolate. American Table Sour with blueberry & hibiscus. Hoppy Side of Pale transcends from an APA to an IPA with a slight hop bite while remaining a smooth drinking full bodied pale ale at its core. Kolsch style ale. A classic summer thirst quencher. Stange exhibits medium-low bitterness, and a sweet grainy, bread-like quality, ending clean and crisp. Citra and Simcoe hops conspiring to create an American style IPA with a tropical aroma and finishes with a big juicy citrus blast. Golden, juicy, tropical. No matter the season, UFO Pineapple makes it the perfect time to get your luau on. It’s island time! Harpoon Craft Cider is crafted from only one ingredient: freshly pressed apples. No flavoring, no preservatives. We ferment it with our ale yeast, yielding a clean but refreshing all natural cider. 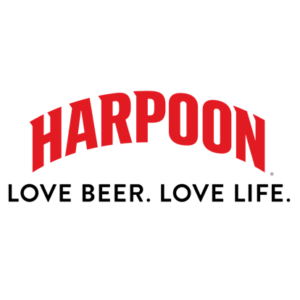 Harpoon Craft Cider is also naturally gluten-free. Gluten Free Cider – Hibiscus flowers give the cider its festive, effervescent deep pink hue, as well as a floral tartness that complements the sweetness from the freshly pressed apples. Our IPA finds harmony in the combination of hops, malt, and yeast so that no single ingredient dominates the drinking experience. Floral and citrus hop notes combine with a sturdy malt backbone to impart a clean, fresh finish. Our IPA is a crisp, balanced interpretation of this classic style. Light, crisp, refreshing and brewed with orange peel and coriander, UFO White Ale follows in the tradition of spiced white beers that have been brewed in Belgium for well over 100 years. Cool down at a beachside bonanza with this brew. Serve with a slice of orange and enjoy. Barrel aged sour beer with local apples. Kettle soured pale ale with local hops. Barrel aged sour saison in Barr Hill Tom Cat barrels. Barrel aged old ale in fruited foudres. Wine barrel aged Double IPA. 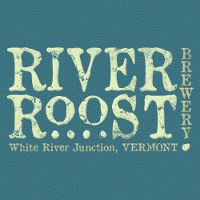 Collaboration with Trout River Brewing Company. Barrel aged saison in Barr Hill Tom Cat barrels. 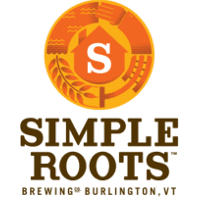 Collaboration with Simple Roots Brewing. Wine barrel aged Brown Ale with local chaga mushrooms. Collaboration with 14th Star Brewing Company. An American wheat beer fermented with a clean Chico yeast strain to highlight the wheat malt. A Bavarian wheat beer fermented with a Weizen yeast strain to bring out those distinctive clove and banana flavors. A wheat beer soured like before mechanical refrigeration, fermented with a Belgian yeast strain for apple and peppery. A kettle soured beer with strawberries and rhubarb that add an interesting fruity flavor. Double IPA. Citrus fruit, dry hopped, serene. Grapefruit infused Pale Ale. Grapefruit, dry hopped, quaffable. American Pale Ale. Tropical fruit, crushable, fresh. We love a good swartz and love a good tart summer beer. We joined them together is this fun brew. 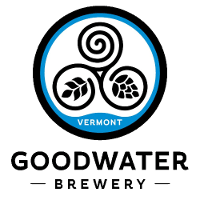 Brewed in April by our Head Brewer Jenn with only maple sap as water and Vermont grains and hops…Truly a real VT brew. Tart citrus from fresh spruce tips and herbal farmhouse yeast gives you a tart yet sweet finish. Aged in bourbon barrels this funky creation is sure to please those with a taste for sours. Aged in our favorites Pirated Rum BBLS, vanilla, chocolate and rum will take you on VACA. 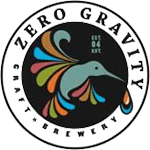 This 100% maple based Russian Imperial Stout uses all Vermont grains and hops. Aged for 12 months in Smugglers Notch. Robust coffee front ends with a classic IPA finish. Hallertau Magnum hops, fresh spruce tips, back roasted, chocolate and hand smoked malts is a must on any bigfoot search party. Maple version of the Best Red in Vermont. A blend of lupulin laden magic and blood orange juice. Each session may have a different vintage! (2013-2016). Brewed with concentrated maple sap and aged for a year in maple liquor barrels. A three-time World Beer Cup © winner in the Specialty Ale category. This monster of an IPA is a brawny, double-dry hopped beer with Cascade, Centennial, and Simcoe hops that will make you pucker up. An ale without definition, blurry and green, with a depth and form unclear, this beer resides in the spa. Our newest session ale! 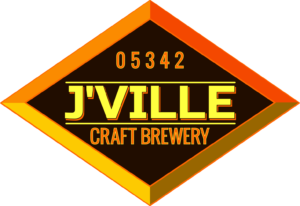 Features full malt flavor and assertive hop character with copious additions of Idaho 7 hops. Notes of apricot, orange & black tea. A tasty and quaffable session ale featuring Mosaic hops and the full malt flavor of an American IPA. A collaboration with our friends at Two Roads Brewing. This New England Farmhouse IPA is brewed with cedar boughs and balsam fir tips & dry hopped with Vermont and Connecticut grown hops. This lupulin-laden India Pale Ale is packed with juicy tropical fruit character, bright floral aromas, and delectable layers of hop flavor. 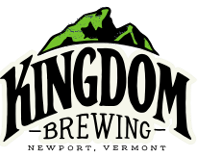 Brewed with loads of dark roasted malts, two gallons of VT maple syrup per barrel, and finished with organic tart cherry juice. Authentic malt liquor brewed for our homies with 6-row malt and corn. Cask amber ale with coffee and oak. Malty with hints of dark fruit and roast. Wild red ale – Oak aged, and re-fermented with a blend of wild yeast and bacteria. Dry hopped sour ale. Kettle soured with a heavy dose of Galaxy, Citra & Ella. Cask NE Style IPA with Idaho 7, Jarrylo and El Dorado hops. Soft & Juicy with loads of tropical fruit notes. Imperial Pale Ale with Nelson Sauvin, Citra and Hallertau Blanc. Delicious! American Pale Ale packed with Centennial, uell, and lemon drop hops with flavors of citrus, grapefruit, and melon. Beer/wine hybrid – citra-hopped wheat beer brewed with Gewurztraminer grapes. Dry, lightly tart with hints of grapefruit, peach, honey, lychee, and rosewater. Big, juicy DIPA with notes of grapefruit, mango, and papaya. Saison brewed with elderberry syrup from Fischer Brother Farm. It has a pineapple aroma and tartness that is balanced by subtle Noble hop notes. English pub-style ale with a roasted, coffee aroma inviting you into a smooth caramel and chocolate finish. Brewed in collaboration with the Dropkick Murphys. Cellared, Belgian Quadrupel brewed with figs, dates, and dark candy syrup. 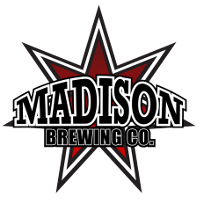 A malty low hopped beer brewed with Summit Maple Farm maple syrup. 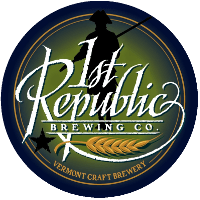 This beer highlights the flavors and color of Vermont Maple Syrup. A blackberry rhubarb wheat beer with fruity hops that compliment the tart flavor of blackberry, and rhubarb. This beer is hazy and juicy, dry hopped with Mosaic, Citra and Azacca hops. This imperial style IPA has the right amount of bitterness to entice any beer drinker to have another one. Sorachi hops give this wheat ale its light lemon and herbal aroma with a clean, and crisp finish. Mixed Fermentation sour ale aged with raspberries and limes. Juicy and soft, Citrus-forward New England-Style pale ale. 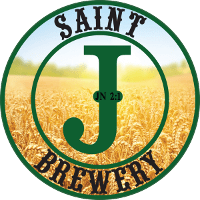 Award-Winning American IPA named after our home on Santilli Highway. Traditional unfiltered German-Style Hefeweizen ale named for a city in Northern Bavaria. Spiced Pear Pilsner is our Equinox Pilsner cask conditioned with apple pie spices, saffron and pears. Our Battenkill Ale cask conditioned with maple syrup. Double IPA made with 7 different hop varieties. Chocolate Stout brewed with loads of Central American cocoa. Pale Ale with Simcoe, Amarillo and Nelson Hops. Porter aged on Madagascar vanilla beans. Neo-Pilsner hopped with Czech Saaz and Australian summer. Classic Munich blonde lager, malt-accentuated and refreshingly crisp with a pleasant noble hop finish. Unfiltered Bavarian wheat beer, light, crisp, and refreshing with banana and clove notes in the aroma and flavor. Traditional Bavarian mahogany lager, rich complex malt profile balanced with delicate noble hops. Amber lager with our own Beech wood smoked German malt, bacon-like aroma and flavor. Full bodied strong amber ale, deceptively smooth on the palate with a rich malty flavor. 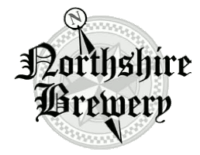 Traditional English IPA brewed with the finest malt and hops from the U.K., assertively bitter with a smooth malt finish. Classic English dark ale, remarkably smooth and balanced with a chocolate and coffee like character. One of our most popular IPA’s featuring Citra and Chinook hops. Bursting with juicy citrus – melon. Uno más? Double IPA hopped with Mosaic. An IPA featuring Mosaic and Amarillo hops. Farmhouse style Saison with black currant. Brewed without hops! Brewed with lavender, chamomile, rosehip and elderberry. DIPA with tropical fruit and citrus characteristics. A single hopped IPA using Citra® hop. Booming with fresh Citra® hop flavor. A NEW release. An IPA from our experimental series. Refreshing wheat with hints of fruit. American brown steeped with Chaga Mushrooms. Single IPA with smokey nose & spicey finish. Seasonal IPA secondaried with mangos. American IPA with Vic Secret and Galaxy. American Pale Ale with New World Hops, aromas and flavors of spruce, peach and citrus. Our Leipziger-style gose rested on raspberries. Our unfiltered pilsner, crisp and clean on the palate with a noble hop finish. Our Russian Imperial Stout aged in Whistle Pig Barrels. Abbey-style tripel aged in white wine barrels. Our refreshing cream ale with peaches, mangoes and strawberries and dry hoped with Mosaic hops. A kettle sour saison fermented on raspberries. Tart, delightful and bursting with fruit. A soft and hazy New England IPA with complex fruit notes from Mosaic, Vic Secret, Azacca and Citra hops. A “Gos-on” a cross between a Gose and Saison, salt, slightly tart and 88 pounds of passion fruit. A crisp Czech pilsner reminiscent of hayfields and sunny days. FAR AWAY ACROSS THE FIELD there is a golden IIPA with a tropical / bright citrus / mild pine and spice with smooth / soft lightly sweet malt that will take you home again. Meet the softer, quieter, version of Softly Spoken Magic Spells. Intense citrus, apricot, and sweet orange juice, with balance and grace. Breathe, breathe in the air. A KOOLER KOLSCH – Our take on this venerable style starts with a clean, classic canvas and adds a touch of sweet honey and milk sugar, and a skosh of delicious fresh ginger and Valencia lemons. An absolute delight to be savored on the sunniest of days. An oddly orange brew with notes of irony, poetic justice, peaches and locally grown apple mint. On a beer engine – hand pulled, inky black Schwarzbier with a light, crisp finish. Big and dark with notes of coffee, vanilla and oak. 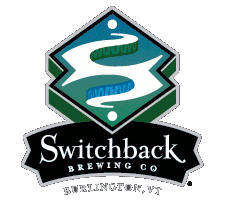 Using only traditional ingredients, Switchback Ale is an unfiltered, reddish-amber ale which is particularly well-balanced, allowing for complexity of flavor coupled with an unusually smooth and refreshing character. DAMPF PUNK, a hoppy California-style Common started as a one-off experimental batch. This rebel brew quickly became a favorite among our taproom regulars and these self-proclaimed Punk fans insisted that we make it available outside the brewery. Flynn on Fire Smoked Beer Initiative: The perfect way to enter the realm of smoked beers is through the Gates of Helles. A soft touch on the smoke superbly complements this helles-style lager. Smoke-Ometer–25%. Flynn on Fire Smoked Beer Initiative: This smoky dark ale is inspired by Switchback Founder Bill Cherry’s time in Kansas City. Blackstrap Ale harkens to KC’s iconic BBQ tradition with its combination of sweet and smoke, derived from an outrageous use of smoked, roasted, and caramelized malts with a hint of dark brown sugar. Smoke-Ometer=54%. 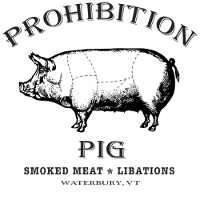 Flynn on Fire Smoked Beer Initiative: A strong dose of old world smokiness adds a whole new dimension to the Märzen experience. Our Smoked Märzen carries an intense smoke flavor that elevates this style to new heights of complexity and satisfaction. Smoke-Ometer=62%. Flynn on Fire Smoked Beer Initiative: Driftwood bonfires on the beach and fresh seafood only need friends and beer to make the perfect party. Maine oysters delivered fresh from the boat by Wood Mountain Fish turn this dry Irish-style stout into a celebration of smoke on the sea. The oysters and roasted barley tame the intensity turning this beer into a refreshing dry stout. Smoke-Ometer=76%. A sour Alchambic barrel aged golden sour aged on fresh strawberries from Sam Mazza farm. This version of our signature American pale ale is dry hopped with the pungent Galaxy variety. Our Hazy IPA. A combination of 4 hop varieties. It is smooth and juicy. Our Blueberry Saison, dry hopped with Sorachi Ace. Our Classic American Red Ale. A Sour Double IPA, aged in white wine barrels. A light, refreshing strong biere! We used over 500 lbs. of real Raspberries, sour-mashed and oak aged. A light bodied Belgian IPA brewed with homebrewer Carol Hall, winner of the 2017 Brewmasters Cup. The spice from the Belgian yeast compliments the medley of hop aromas & flavors. A very light American Style Wheat Beer brewed with over 1000 lbs of REAL Watermelons. In early June of every summer, our entire staff contributes to receiving, cutting, scooping and preparing for this awesome, all natural watermelon thirst quencher! Light bodied and crisp with sweet melon aromas, flavors and finish! From the German word for “Bright”, our golden lager displays a floral hop aroma with a bready malty balance. Traditional in style. Kölsch is a German ale, famously brewed in Cologne. A true Summer session ale. Our Pilsner has a spicy, citrus peel botanicals combine with a dry, peppery finish to create a truly thirst-quenching lager. 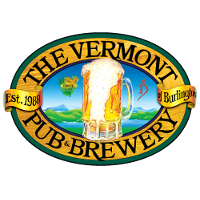 This bright, delicious Vermont-style session IPA is big on aroma and easy on the palate. Reminiscent of those big double IPAs, but at just 4.5% abv, so you can enjoy it all day long. What’s Updog? Oh, just a roasty, toasty American Stout, featuring roasted barley, chocolate malt, and a touch of Cascade hops. With all late-addition Simcoe, Citra, and Galaxy hops and even more generous dry-hopping, this dank Vermont DIPA is balanced and delicious. Our version of an American Amber Ale. Brewed with a Maris Otter base and featuring local Centennial hops in the cask. A clean and satisfying quencher inspired by the great brewing regions of the world. American pale ale brewed with oats and hopped with Horizon, Citra and Mosaic. A single-hopped IPA with Citra. An American Sour Ale brewed with 2400 lbs. of strawberries from Adam’s Berry Farm. 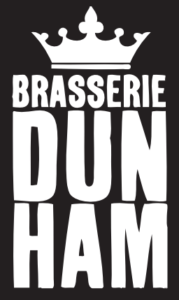 Farmhouse ale brewed with Pilsner malt and Azacca Hops – an effervescent Belgian-style Saison with an American twist. Tropical and grapefruit aroma and flavor from Citra meld beautifully with lemon-lime and nectar fruit from New Zealand Motueka. Wheat and Pilsner malt keep the body light and refreshing so the hops can express themselves. A hoppy delight featuring Galaxy, Citra, Mosaic, and a healthy dosing of Pink Guava.